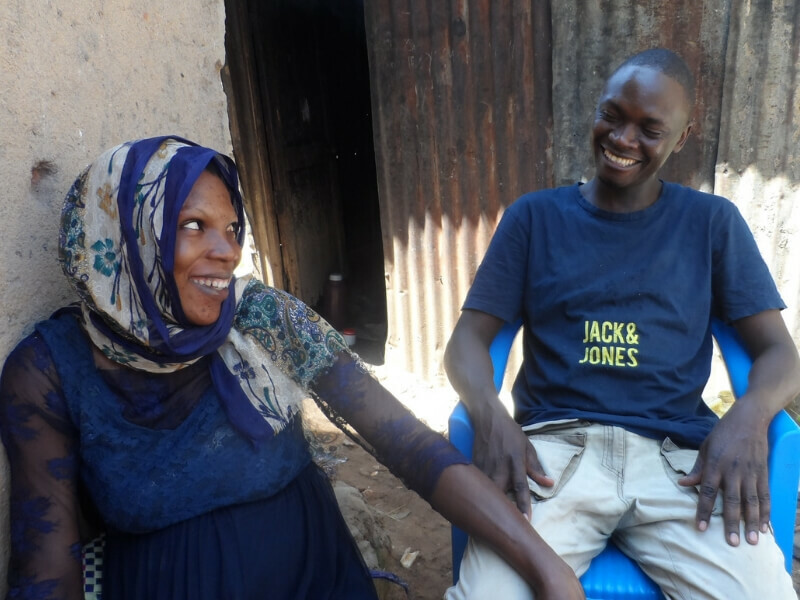 Aisha and Abdallah are raising their three young children – with one more on the way – in the Wakiso district of Uganda. And while they’ve always shared a loving relationship, when Aisha heard about gender equality training from Canadian Feed The Children’s local partner HUYSLINCI, she had them sign up for it together. Because of kind donors, Aisha and Abdallah were able to strengthen their relationship and family because of gender equality training. “I knew it was important for me and Abdallah to actually attend such trainings because they are so beneficial. It opened our eyes and minds and taught us about how to amicably resolve conflicts and how to work together to grow our family’s well-being,” Aisha explained. It’s a topic that is close to Aisha’s heart, because as a nursery teacher, she sees the challenges that families and married couples face in her community. There are high incidents of domestic violence, exacerbated by addictions to drugs and gambling. She knows that violent homes aren’t healthy for growing children either. 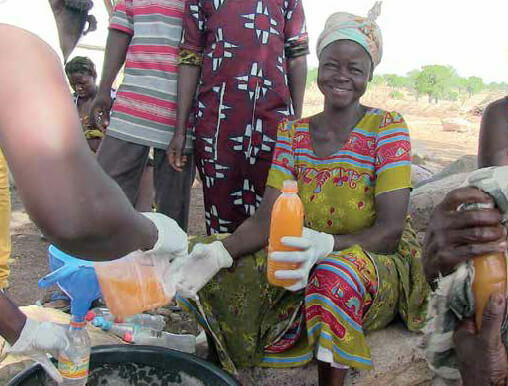 For Abdallah, the gender equality training helped shape the way he viewed his partnership with Aisha. And his neighbours have started to notice. 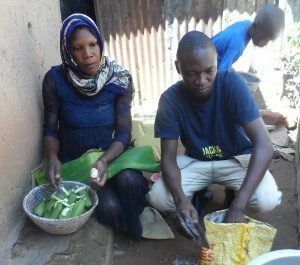 Abdallah was also inspired by the training to involve Aisha in his small construction business and managing the household income – something he would often do on his own. Now she has equal say when they are making important decisions. 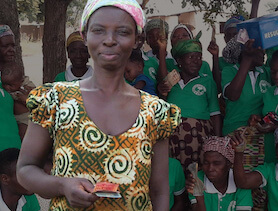 It was Aisha’s idea, for example, to join a village savings and loans group to better support their family. Abdallah is thankful for it – now they have access to small loans to invest in their business and children’s education. With new commitments to joint decision-making, caring together for their children, and additional tools for healthy conflict resolution, Aisha and Abdallah feel like they’ve been given a new perception of what they want their family to look like. Abdallah helps Aisha cook and prepare meals, raise their children and many other household activities after participating in gender equality training. They hope that they can continue to work hard to provide for their family, and that they will always have good health and a loving, happy marriage. They also hope their actions can help influence others: “I have tried to talk to some of my friends, and have helped reconcile conflicts in two neighbouring families. I strongly believe that we need a mass village training on gender equality,” Abdallah insisted. When Abdallah was asked what he loves most about Aisha, he responded: “Oooh, do you think we are going to spend the whole day here?”, laughing. Finance and business skills training gained from community-led microfinance programs take women and children out of poverty and into a brighter future.